The modern entertainment and sports cable channel premieres the fifth season of its hit reality series “Larrymanía” on Sunday, July 17 at 9PM ET/8C. The 15-episode season returns after a controversial year and gives viewers a behind-the-scenes look into the life of the regional Mexican artist as he makes his return to the stage. To view and download a sneak peek, click here. To download images, click here. The season premiere promises to be an explosive one as Larry, his fiancé, Kenia, and his mother, Manuela, speak on-camera for the very first time since Larry’s legal troubles. After a tumultuous year, Larry is ready to face the media and his fans by doing his first national radio interview and confront the topic of his incarceration. Beyond the controversy, this season is filled with new adventures and can’t-miss-moments alongside his tight-knit family, who are always present to experience it all. Before the premiere, fans can catch up on the best moments from Seasons 1 – 4 with the “Larrymanía Acceso Especial” special premiering this Sunday, July 3 at 9 PM ET/8C. To view a sneak peek, click here. To download images click here. Fans can engage on social media by using #Larrymanía on Instagram and Twitter. To learn more about “Larrymanía”, visit: www.facebook.com/LarrymaniaTV or www.Larrymania.com. 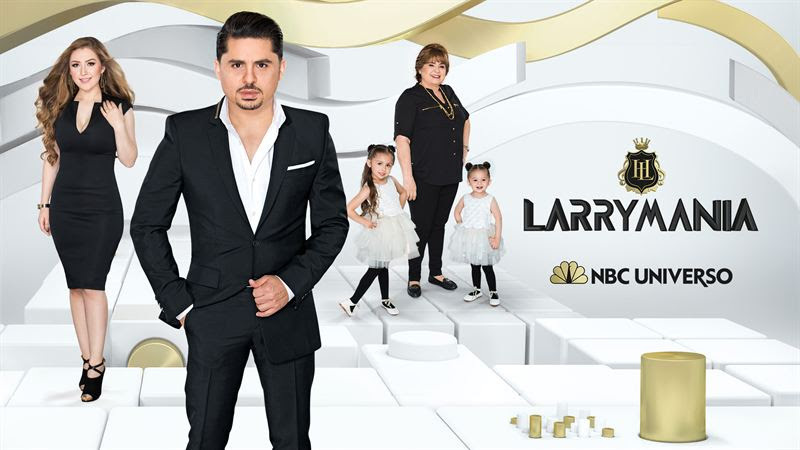 “Larrymanía” fans can also watch full episodes of Seasons 1 – 4 on http://www.nbcuniverso.com/now/, the NBC UNIVERSO NOW App, and on Video-on-Demand (VOD) for participating cable, satellite and telco services. “Larrymanía” is Executive Produced by Gloria Medel Solomons for NBC UNIVERSO and JK Film & TV Productions.